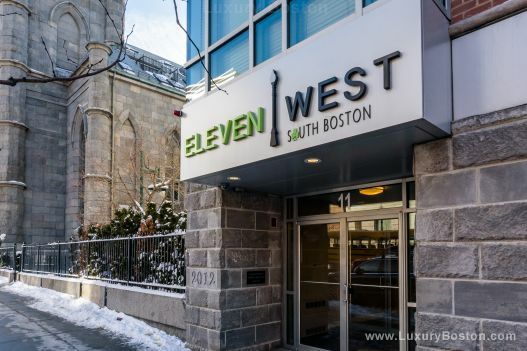 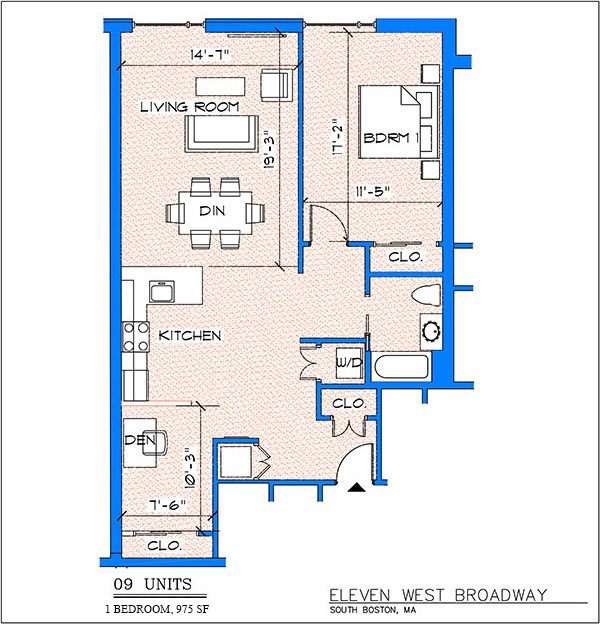 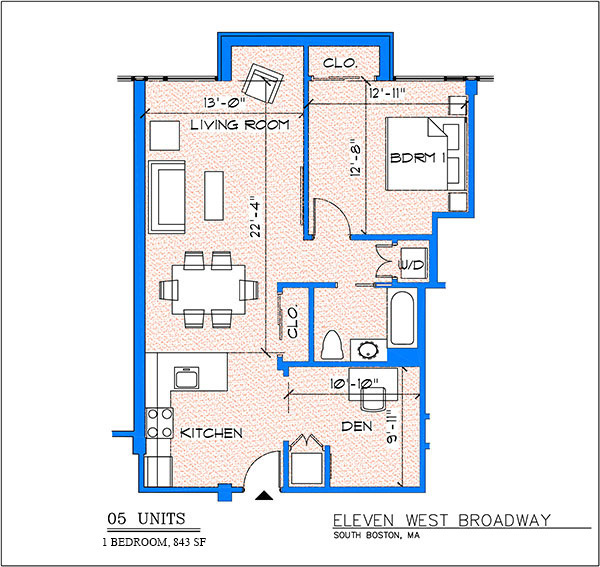 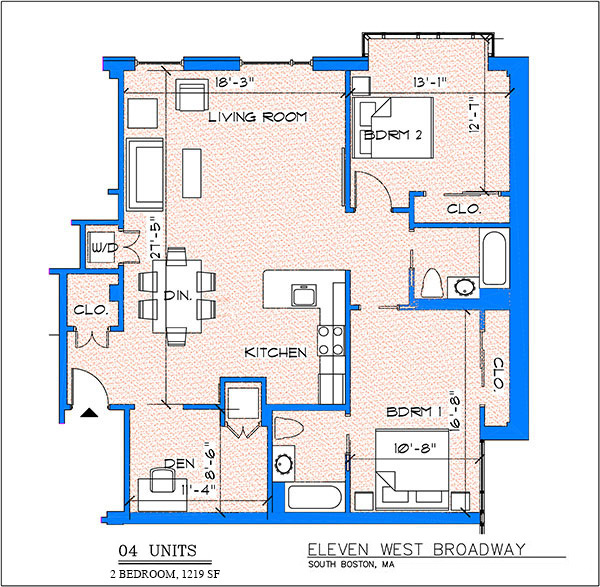 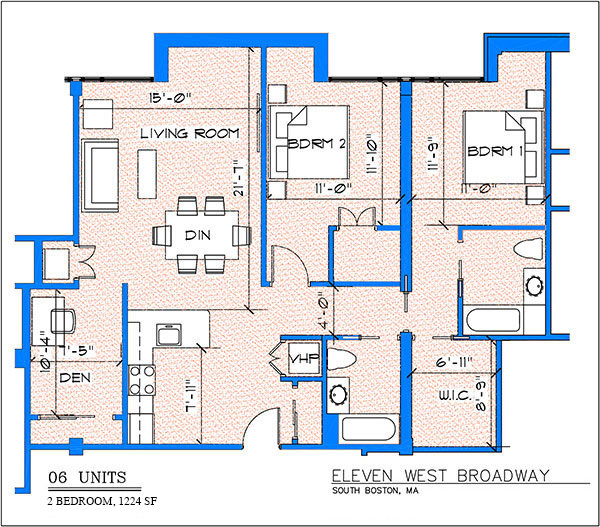 Eleven West, is located at 11 West Broadway in South Boston, on the corner of West Broadway and Dorchester Avenue. 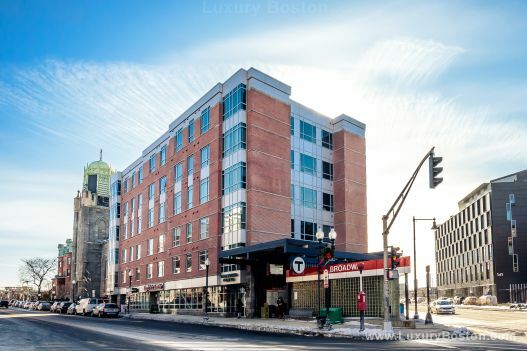 The MBTA Red-Line Broadway stop is directly adjacent to the development. 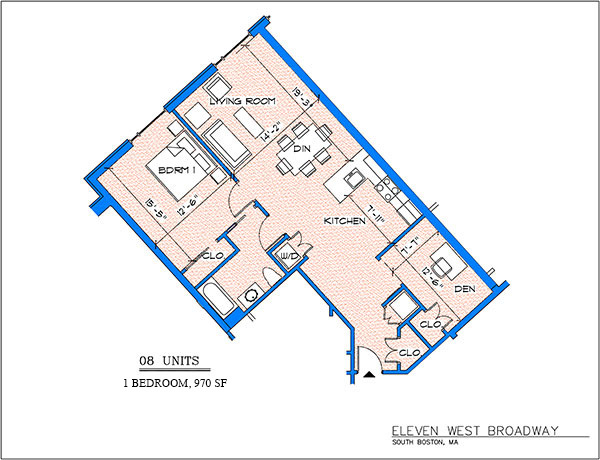 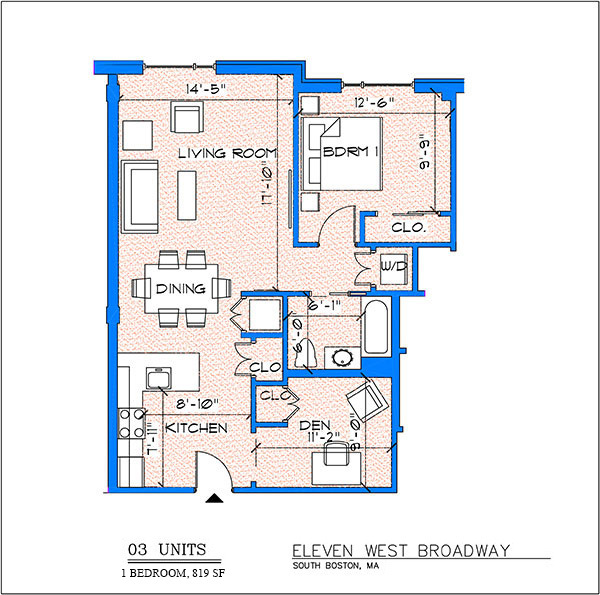 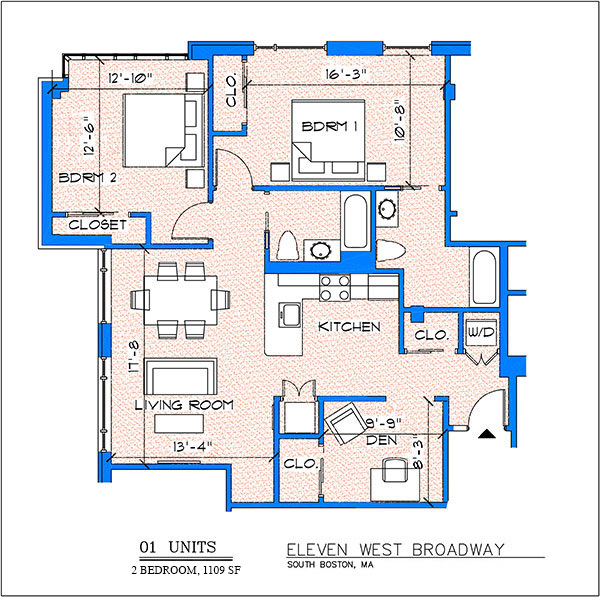 Eleven West consists of 50 residential rental units with 25 one bedroom, one bath units and 25 two bedroom, two bath units, all units include a den. 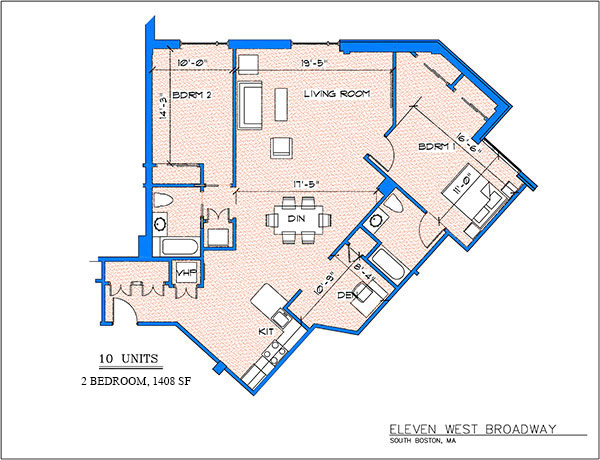 There are five floors of units with elevator access to all floors. 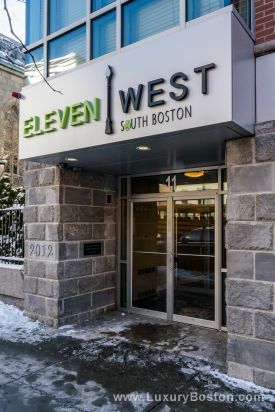 The units vary in size from 819 to 1,432 sq ft.
With approximately 8,000 sq ft of retail space, we are excited to announce Starbucks, Subway and Stephi’s restaurants. 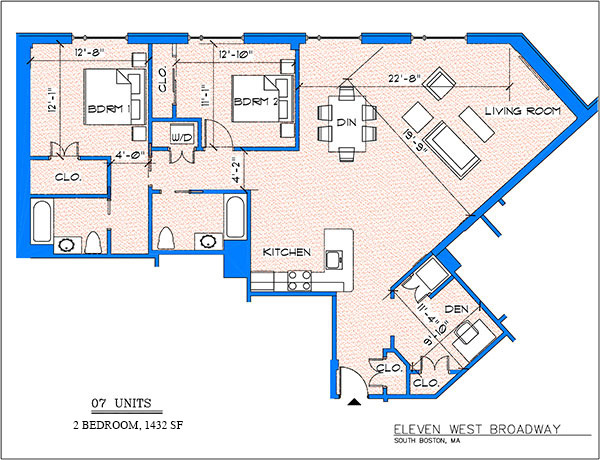 There is an underground parking garage with elevator access that includes 32 parking spaces available for rent. 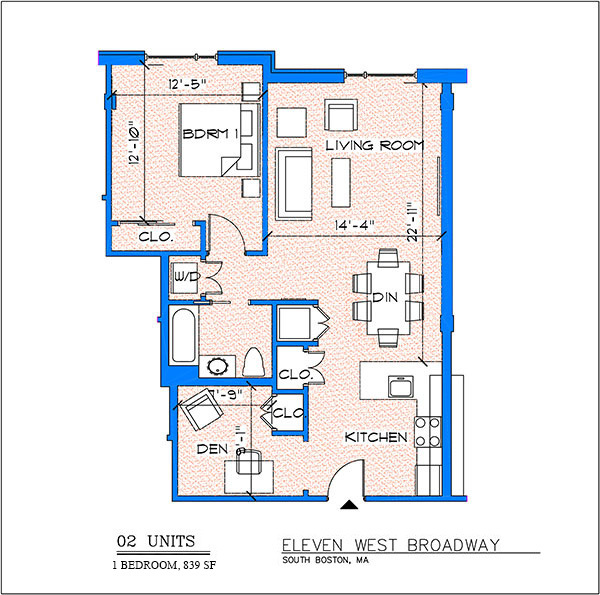 Additionally, there are two handicapped and two zipcar spaces located on the ground floor. 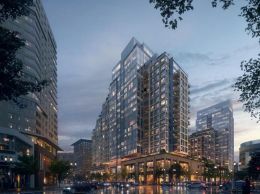 The building includes a fitness room and a 2,500 sq ft landscaped common area roof deck with elevator access as amenities.